I think just about everyone out there would like to burn a bit more fat and lose a few unwanted pounds. Fat burners can be a great help when it comes to doing this but many people do not like the fact that most fat burners contain caffeine. 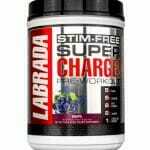 There are fat burners out there that work great and do not contain caffeine or other stimulants. 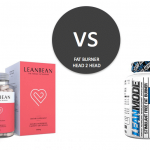 Let’s go over what to look for in a good weight loss supplement and then we will take a look at the best fat burners on the market that don’t use caffeine. When it comes to fat burners there are a couple of things they do that make them work so well at burning fat. The first is that they have ingredients like Forskolin that increase your metabolism. This means that you will be burning more fat day and night even if you are just sitting on the computer or even taking a nap. The second thing they do is lower your appetite. Fat burners have ingredients that will make you less hungry throughout the day so you eat less and therefore don’t consume as many calories. When you combine these together you get an effective supplement that burns fat day and night. When it comes to having an effective fat burner you need to have the best ingredients. Here are some of the best ingredients when it comes to fat burners. Acetyl L-Carnitine – This is an amino acid that is derived from L-Cartinine, it plays a key role in fat metabolism by transporting fat into the mitochondria where it is burned for energy. This is also something many people are deficient in so their metabolism doesn’t function as it should. Forskolin – No that doesn’t say foreskin but it sure looks like it does when you look at it real quick. Forskolin is a newer fat burning ingredient that stimulates the release of fatty acids from stubborn adipose tissue. Studies have also shown forskolin to decrease bodyfat and increase lean muscle mass in men and it is very effective. 5-HTP – 5-HTP is an ingredient that has been shown to reduce appetite in overweight and dieting individuals. Rhodiola Rosea – This flowering plant has been shown to help reduce the stress of dieting on the body which helps keep your metabolism going strong. It also has been shown to stop binge eating in animal studies. 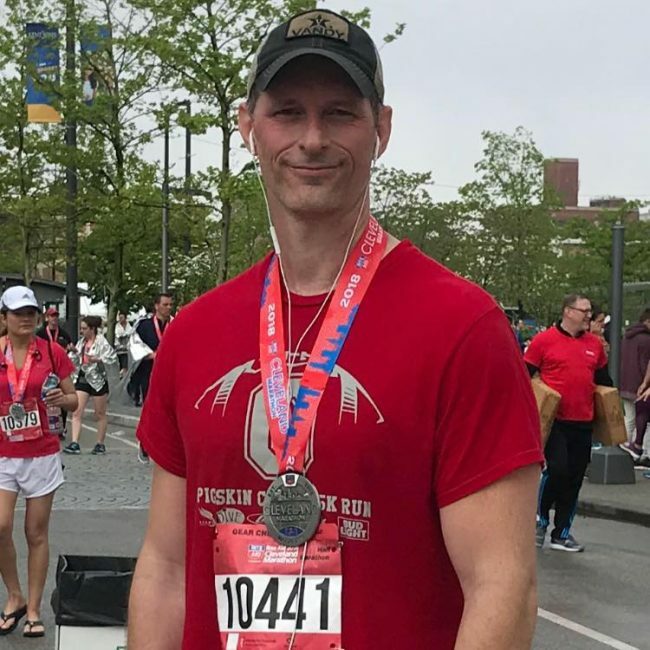 Cayenne Pepper Extract – This pepper is shown to increase fat burning through thermogenesis and has been shown to release more stored fat from the body to be burned. Fucoxanthin – This one is a new ingredient that has a lot of promise. In an animal study, it has shown to significantly reduce weight gain in a high-calorie diet. Ingredients to Watch Out For? Some fat burners still use ingredients that are unnatural and can be dangerous. They have been known to cause high blood pressure, insomnia, mood swings, jitters, high blood pressure and more. Ephedra – This is a dangerous stimulant that has effects on the heart and the nervous system. It has been banned in the USA but can still be found in some countries. DMAE – This ingredient has been shown to cause headaches, insomnia and severe muscle tension. DMAA – This is another ingredient that has been banned in the USA but can be found abroad. This ingredient can cause the arteries to narrow and lead to heart attacks. Synephrine – This ingredient is ok in small doses but some companies use way too much. This one has a long list of side effects but some of the most important ones are headache, nervousness, nausea, and drowsiness. 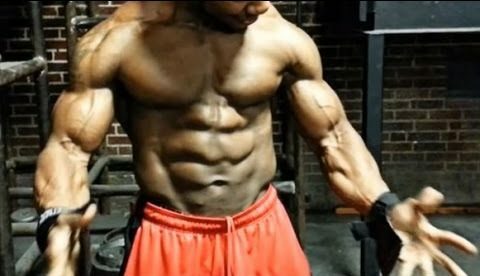 When it comes to fat burners and pretty much all other supplements one thing to watch out for is proprietary blends. These have become a bit of a problem in the supplement industry and it is only getting worse. A proprietary blend is where the manufacturer puts a bunch of ingredients together in what they call a blend and they only tell you the size of the blend. They do not tell you how much of each ingredient is in there so you have no way of knowing. This is not good if you want to avoid side effects and actually know what you are getting in a product. Now that you know all about fat burners let’s get to the list of the best fat burners that do not contain caffeine. Topping off our list we have a really nice fat burner that doesn’t contain caffeine or any other stimulants and is still ultra effective. This one has been on the market for a couple of years and has really emerged as the premier caffeine free fat burner on the market. It is made by Transparent Labs and all of their products are really good so having this one in first place isn’t really much of a surprise to us. Taking a look at the ingredients on this one and it is really stacked. They start off with a nice dose of Forskolin which is one of our favorite fat burning ingredients. This product actually uses a higher grade of Forskolin known as Forslean which is even more pure and more effective. On top of that, they use a nice dose of Acetyl L-Carnitine which will help speed metabolism. On top of that, they use 5-HTP to reduce appetite and cayenne pepper to increase your bodies thermogenesis. This product is priced at $49.00 for a bottle which is above average but isn’t too bad compared to some. The price also goes down when you buy more than one and you can use the coupon code TL10 to get 10 percent off as well so that helps. This product is also made in America so you don’t have to worry about it being made cheaply in China or somewhere like that. 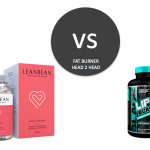 Leanbean is our top choice for women and is categorized as a stimulant free fat burner, that’s because it doesn’t use any of the extract Caffeine Anhydrous. The makers have created a safe but super effective fat burner and have been careful with the contents to prevent side effects. 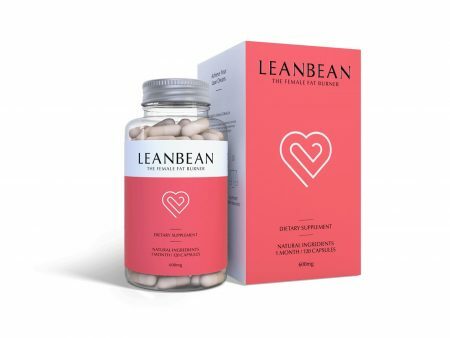 Running over the ingredients and it’s clear that Leanbean is a top diet aid, they’ve loaded their product with a number of things to stop cravings. Garcinia Cambogia is particularly effective for those struggling to control emotional eating, and this ‘hunger cruncher’ is well supported by the high in fiber Glucomannan. You’ll also find Turmeric in good doses, this is one of the newest and most underused ingredients currently available. It’s becoming incredibly popular though due to its role in converting unhealthy fat tissue into muscle. Turmeric is very helpful for women looking to lose fat as it keeps Estrogen to normal levels. Leanbean also includes Green Tea as well as Green Coffee for thermogenesis and stimulating the metabolism and thyroid function. Be aware these two ingredients may include minor levels of natural Caffeine but not in high enough amounts to cause any problems. Next up we have Lean XT stimulant free fat burner by Jacked Factory. This one also has some pretty good reviews and ingredients. Let’s look a little further into what this one is made of. 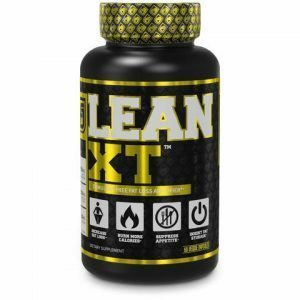 Lean XT uses a very basic formula with five active ingredients. These ingredients are Green Tea, L-Carnitine, 2 forms of forskolin, and Bioperine. While it is basic these ingredients are all effective and in high doses to effectively suppress appetite and boost metabolism. Not to mention they are all stimulant free. This product is free of fillers or dyes and is made in the USA in a clean cGMP facility so you know it’s high quality. Lean XT is less expensive than the others on this list so you could save a few bucks on this one. The price on this one is $30 for a bottle but you can’t get any savings when buying in bulk so that is something else to consider. The reviews on this one are mainly favorable but of course, there are a few negative ones. In fourth place, we have Quadcarn from Beverly International. This is one that actually doubles as a fat burner and a testosterone booster, although the testosterone boosting abilities of this product are a bit suspect. 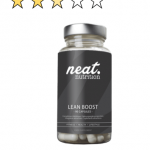 Looking over the ingredients and this one has a good dose of Acetyl L-Carnitine HCL which we like, they also use L-Carnitine L-Tartrate and 2 other forms of carnitine. While carnitine can be effective to burn fat they could have helped themselves out by using some other ingredients. Price wise this one is about average for the market at $30 for 120 capsules. They don’t have any extra savings when you buy in bulk. 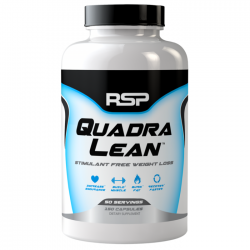 Rounding out our list of the best fat burners without caffeine we have Quadra Lean by RSP. This one features four active ingredients designed to get your metabolism going faster and to help fight hunger. This one has a good dose of Garcinia Cambogia which is effective at reducing hunger so you eat less during the day, They also use L-Carnitine to increase metabolism as well as Raspberry Ketones to keep your body burning day and night. This one is also good at increasing energy so you can dominate your workouts. This one also has some really good reviews online from customers. We do wish this one had more effective ingredients but it is still a decent product. There you have the 5 best fat burners that don’t contain caffeine. 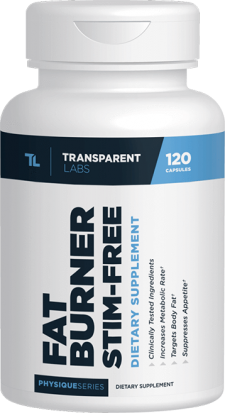 Our favorite is Fat Burner Stim-Free by Transparent Labs for its top of the line ingredients, top reviews and the fact that it is ultra-effective at increasing your metabolism and decreasing appetite all without the jitters of caffeine. 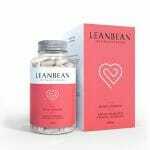 Another great choice for women would be Leanbean which is our best choice for women and is also top notch. Just remember the fat burner isn’t going to do all the work for you. You need to follow a good diet and put your time in at the gym. Then a good fat burner will take you to the next level. Where is Phoenix from Legion Athletics?